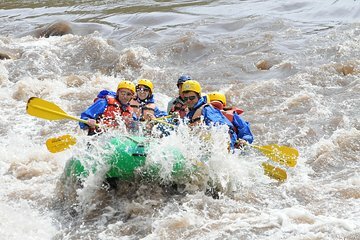 Spend a thrilling day on the Salt River as you conquer class III-IV rapids. Your guide will instruct you on the best way to navigate the river to maximize your rafting enjoyment. Choose one of two options. Both cover the same amount of river, but the “standard” offers lunch midway through your adventure, while the “sprint” substitutes lunch for a snack so you can get back in the river quicker.